This was not a high action or excessively gory film but the special effects and make-up were very good. I was especially impressed by a scene very early on in the film where one of the trio is shot. Though jarring, I was surprised that the filmmakers decided to actually show the death on screen, rather than alluding to someone being shot. It was creatively executed and filmed. Tied quite closely to the SFX was the acting, and though I felt that the characters were all rather forgettable, the actors did pretty well. 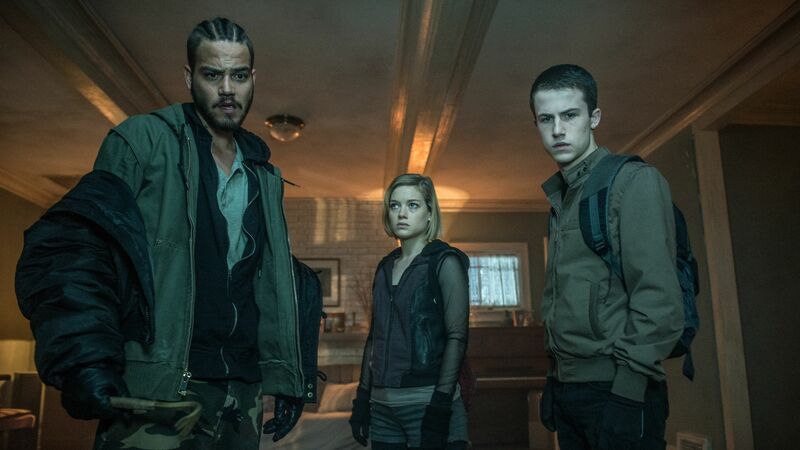 Jane Levy plays Rocky, a girl from the wrong side of the tracks with a washed up mother and a little sister that she’s worried about. Dylan Minnette steps into the role of Alex, who seems to have gotten involved with this scheme because of his unrequited love for Rocky and having access to his father’s security master keys for the houses that they rob. And finally, we have Daniel Zovatto as Money, almost gang-banger and all round douche. None of these character inspire the audience to root for them. I found them to be insipid and rather cliched for this type of film. I will say that Zovatto did a brilliant job of making me dislike his character so much that I was excited when he died. Stephen Lang gave a stellar performance as The Blind Man. I genuinely believed that he was blind, and in fact took about 60% of the movie to figure out where I knew him from because this performance was so different from other roles that I had seen him in previously. His portrayal of a man who has been systematically broken by a system of injustice and cosmic quackery was so subtle that I worry it would be entirely overlooked by some audience members, and that his action in the film would lead the audience to automatically sympathise with the trio of idiotic burglars. There are a number of things that I thoroughly enjoyed about this film, there were other things that I was disappointed by and yet others that I couldn’t care less about. Firstly, I loved the fact that the actors were actually filmed in full dark for some of the basement scenes (these scenes can be viewed in the trailer). It wasn’t simulated darkness. This really ratcheted up the tension and suspense. In addition to this, I enjoyed the reserved power that Lang demonstrated when engaged in hand-to-hand combat. He played a very convincing army veteran who would know just the right amount of force to incapacitate someone, as a opposed to killing them. Something that irritated me was just how loud the trio was when moving around the house, even before they believed that they had knocked the Blind Man out. It was ridiculous. Adding to this was their inability to breathe through their noses. They caught on very quickly that he was able to hear exceptionally well but they did not even try to modify their behaviour. This was especially strange when Rocky is able to stop herself from screaming when she witnesses Money’s brutal death at the start of the film but is incapable of breathing quietly in a closet with the Blind Man standing in front of her. Having said all that, I think that most people won’t look that closely to all the detail that annoyed me. Regardless of these factors, this was still a hella fun movie to watch for the tension and suspense alone. I found myself doing a fist pump when one of the characters thought of something innovative to help them escape, while yelling at them when I thought that they were making the wrong decision. It is imperative that you watch this with the right group of people, and in the dark! 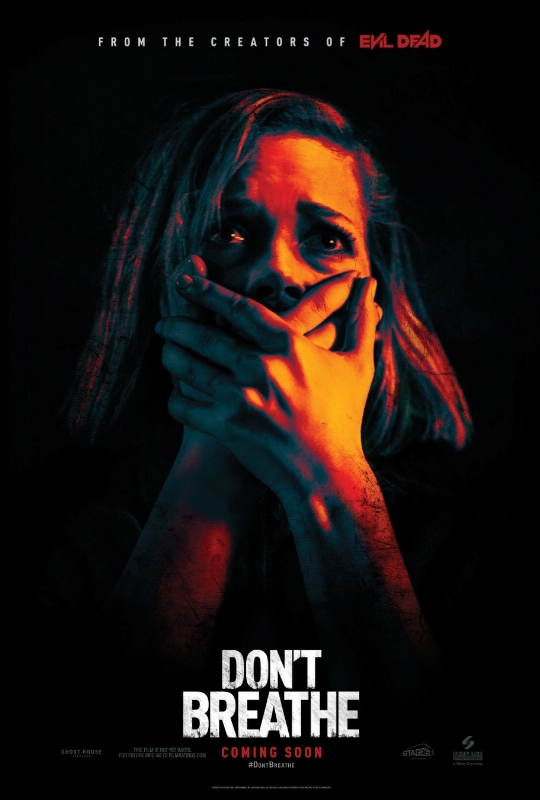 Buy or rent Don’t Breathe from Amazon.